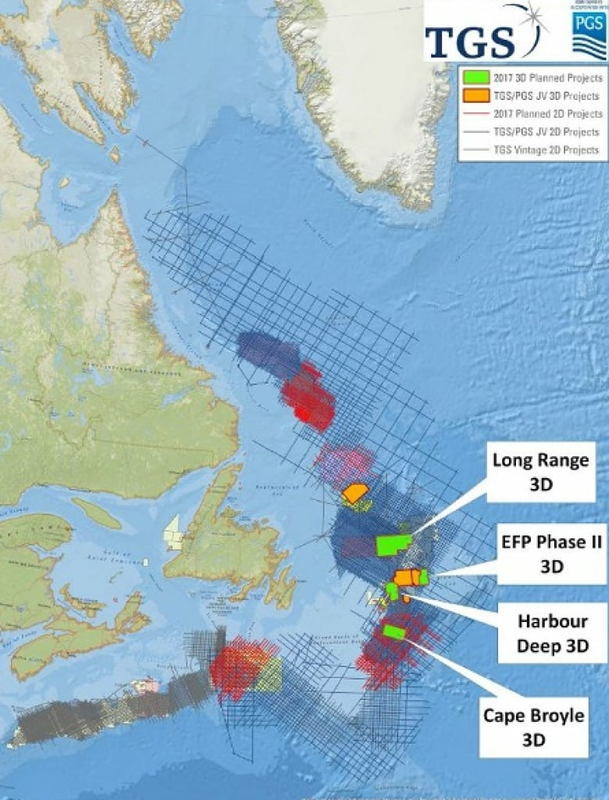 In yet another sign that Newfoundland and Labrador's oil industry is poised for growth, no fewer than 18 seismic surveying companies have filed environmental assessments with the board that regulates the offshore. 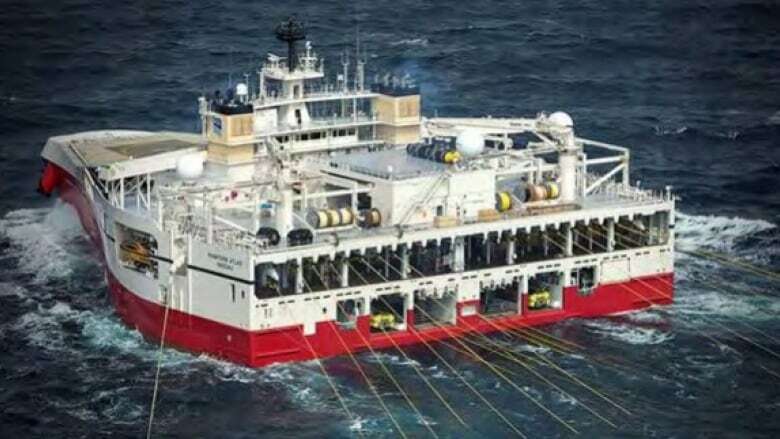 The Ramform Thethys seismic ship is pictured here in action, towing 'streamers' while conducting a 3D survey. The unique vessel is one of at least three seismic ships that will be active in Newfoundland and Labrador's offshore this year. 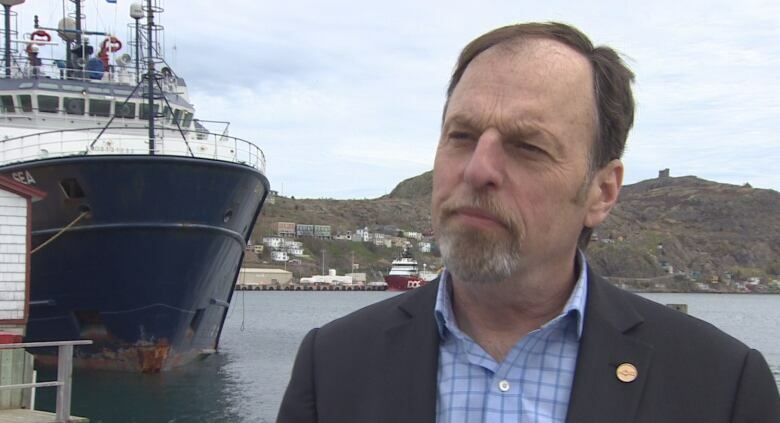 In yet another sign that Newfoundland and Labrador's oil industry is poised for growth, no fewer than 18 companies that specialize in seismic surveying have filed environmental assessments with the board that regulates the offshore. A record amount of valuable 3D seismic data will be collected in the coming months, with one company deploying a small fleet of very specialized vessels. It's a unique situation in an environment where oil companies throughout the world have tightened the purse strings on exploration, with spending down by 75 per cent from just three years ago, when oil was trading at more than $100 US per barrel. Oil is now hovering at about half that, yet oil companies continue to search for the next major find in the offshore. 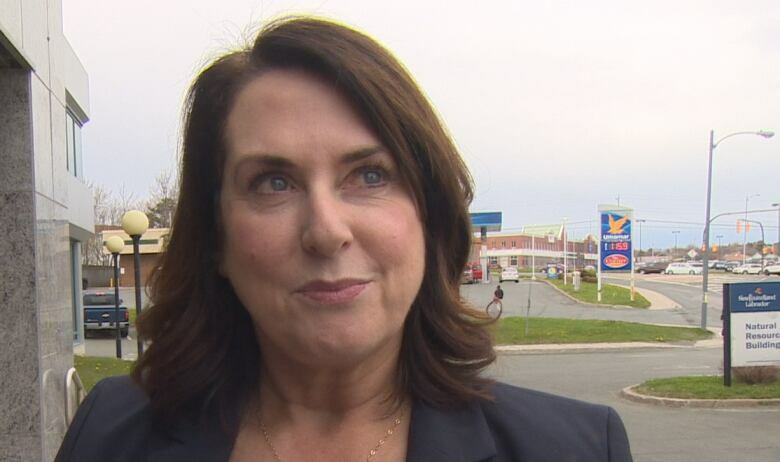 "Based on the activity level here, we're getting more than a reasonable share of that spending," said Bob Cadigan, president and CEO of the Newfoundland and Labrador Oil and Gas Industries Association. "It says that the eyes of explorers are on our offshore and that the prospectivity is really exciting to them." The amount of seismic surveying has steadily increased, and by the end of this year, more than 175,000 kilometres of 2D seismic data will have been collected, and a total of 30,000 kilometres of 3D data. Those numbers may not mean much to the uninformed, but the 3D program is one of the largest currently underway in the world, and the 2D program is unrivalled in the modern exploration era, said Siobhan Coady, Newfoundland and Labrador's minister of natural resources. Typically, she explained, 3D surveys are conducted when a 2D survey uncovers a promising lead, and the record amount of 3D surveying planned for this year is a telltale sign that more discoveries may be imminent. That could very well mean an increase in drill rigs in the coming years, and a growing number of producing oil fields in the longer term. "Potentially we could be in a position where we could see a development every second or third year, which is dramatically different than the four we've seen in the last 40," said Cadigan. 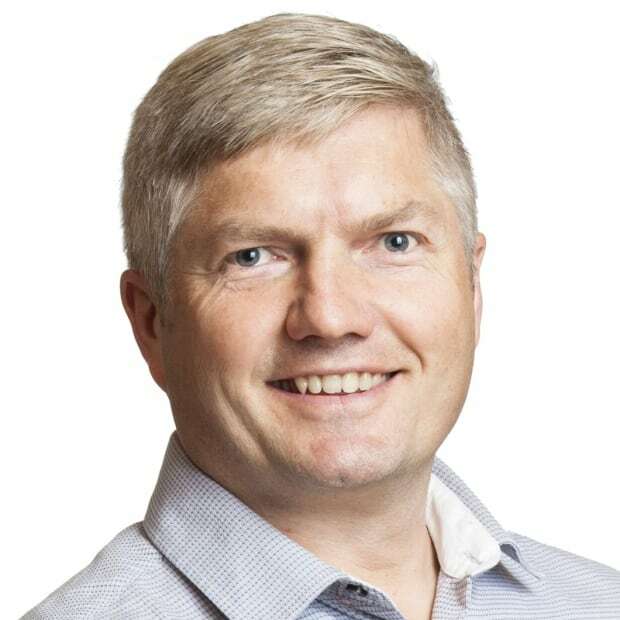 Coady said the growing interest is the direct result of oil production success in the offshore over the last two decades, and a seismic program initiated by Newfoundland and Labrador's energy corporation, Nalcor, six years ago that has helped stoke that worldwide interest. The Hibernia field reached the billion-barrel mark this year, and is on track to produce for another several decades. The province will have its fourth producing oil field later this year with Hebron, and Husky just this week announced a major extension project and a new discovery in the White Rose field. There have also been significant discoveries in places such as the Flemish Pass and the Orphan Basin, where there's potential for billions of barrels of oil and trillions of cubic feet of gas. These developments have generated a lot of hype among what's called "super-majors," a term used to describe some of the world's largest oil companies, and this has been on display for the last three years during annual licensing rounds for parcels of land in the offshore. Companies have committed to spending more than $5 billion in exploration in the offshore since 1988, and about half of that, or $2.5 billion, has been committed in the last three years. Seven new players have added their names to the growing list of exploration and production companies now active in the offshore. "They are often telling me that this information drives their decision-making," Coady said of the seismic data. Before companies spend hundreds of millions on drilling programs, they want to ensure they have the best possible information, and that typically comes with seismic testing. This technology uses sound waves to help produce detailed images of the rock types beneath the seabed, and the information is used to determine the location and size of potential oil and gas reserves. The most visible sign of this seismic activity is tethered to a pier in Bay Bulls. It's the uniquely shaped MV Ramform Tethys, a state-of-the-art seismic vessel that was launched last year. The vessel is more than 100 metres long, but its width is what sets it apart — 70 metres. The ample girth allows it to tow as many of 16 "streamers" during a 3D seismic survey. The ship is one of three 3D vessels and another 2D vessel that will be operated in the offshore this year by Norwegian geoscience companies TGS and PGS. "This is more than ever before and reflects high customer interest," said Jon Erik Reinhardsen, president and CEO of PGS. A portion of the work being done by these companies is under contract to Nalcor, which will then sell the data to oil companies in advance of upcoming licensing rounds.